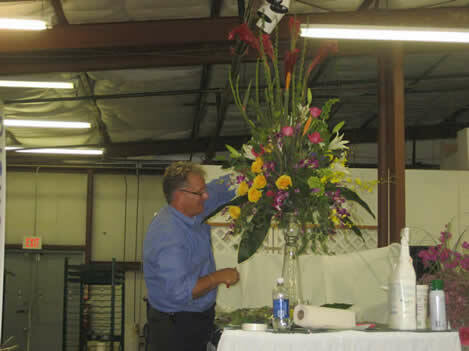 Hall's Wholesale Florist of Mobile has provided bulk flowers and supplies to florists, event planners, wedding planners, and local businesses in and around Mobile, Alabama for nearly two decades. Providing quality fresh flowers is the core of our business. Flowers are shipped from South America, Europe, Asia, Australia, Latin America, and the U.S. and kept in climate controlled coolers. In addition to fresh flowers, we maintain a vast inventory of floral supplies such as floral foam, ribbons, glass, containers (glass, plastic, and mache), easels, etc. We deliver to Southwest Alabama (including Mobile, the Eastern shore and Jackson).